Our fashion blow knows that Nine West glasses is a brand that looks good from any direction. The brand’s eyewear collection delivers sleek, polished looks that modern men and women can use to finish any outfit perfectly. 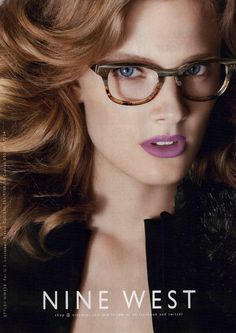 Nine West offers a stunning mix of eyeglasses and sunglasses that are perfect for everyday wear. Nine West is one of the most wanted brands people seek when shopping for glasses online. Savvy shoppers have discovered that Nine West designs are deliciously compatible with what people need from prescription glasses. Are you ready to discover why the Nine West label is a perfect 10 when it comes to fit, style and quality? Find out why this eyewear brand has remained a favorite among everyone from celebrities to everyday people for more than three decades. The Nine West brand has roots in the heart of New York City. It actually gets its name from the Solow Building located at 9 West 57th Street in New York City. The surprising thing about Nine West is that it is a relatively young brand when compared to the many luxury brands it shares a category with. The brand was started in 1983. It currently has over 800 global locations in 57 countries around the world. Nine West originally found its footing as a shoe company. It soon expanded to offer handbags, has, scarves, belts, jewelry, wraps and eyewear. It goes without saying that the release of the Nine West eyewear collection is one of the most anticipated events in the fashion world each year. There is something extremely satisfying about the way eyewear by the Nine West label can make anyone feel sophisticated and modern in the blink of an eye. 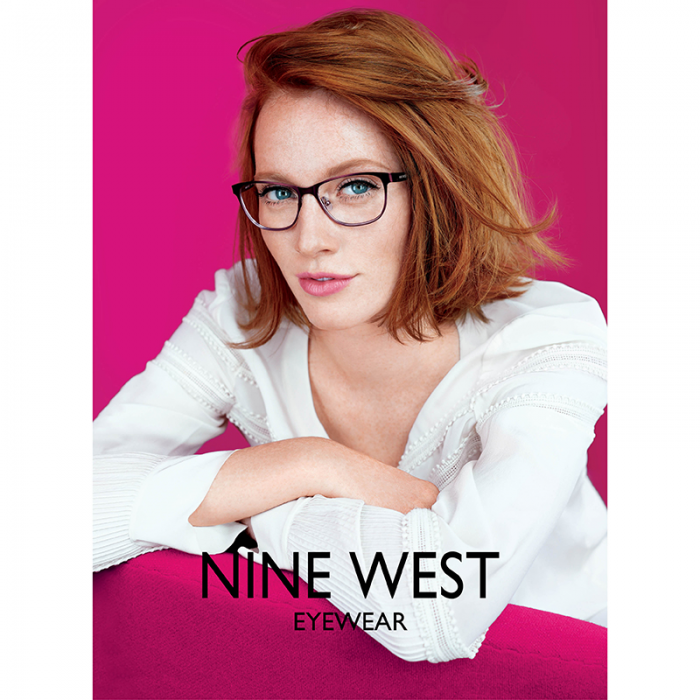 There isn’t an eyewear brand out there that can rival the clean, crisp look that Nine West creates each season. It is so easy to take delight in the fact that the label puts out looks that provide fun updates on classic shapes and timeless colors. Many people are delighted to discover that they can shop for glasses online to get the same Nine West designs that are available in high-end department stores in the world’s major cities. You might think that Nine West is a brand for working professionals and business-minded people at first glance. The clean lines and polished edges of most looks by the brand certainly make it seem that Nine West was created for boardrooms. What you’ll discover when you dig a little bit deeper is that people of all ages and lifestyles are drawn to Nine West glasses. Everyone from students to stay-at-home moms can appreciate how easy to wear each Nine West design is. In addition, these frames are built specifically to make it easy for people who wear prescription glasses to get what they need. The beauty of the Nine West label is that it satisfies everyone. Whether you’re looking for hipster glasses that make a statement or you want petite reading frames for the office, you’ll fall in love. Every Nine West design features classic touches. You don’t have to worry about wading through gimmicky designs to find a look that you can wear every day without getting bored. The designers at Nine West have mastered the art of creating designs that offer clean shapes and perfect proportions. Every frame is made to flatter a variety of face shapes. You’ll never find yourself battling with the way a frame overpowers your face or makes your features look clumsy when you snag a design by Nine West. The first thing you’ll notice when you browse the current collection of eyeglasses is that black frames are the dominant look. Nine West is famous for creating perfect black frames that can be worn seven days a week. Of course, you’ll also find that the brand knows how to play with white, grey and clear frames like no other label can. It is quite rare that a brand can play with color without diminishing the sophistication of its pieces. All you’ll see is impeccable craftsmanship when you browse cat-eye designs with transparent frames or breezy aviator styles that shimmer in the sun. There are a few things that all glasses made by Nine West have in common. 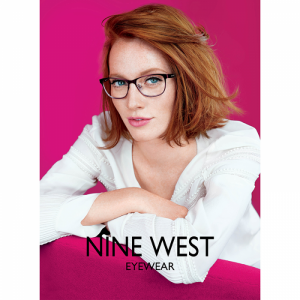 You can look forward to a comfortable fit, impeccable design and unparalleled durability when you follow the direction of Nine West when choosing your new glasses. Share with us and our thousands of readers in the comment sections below of your favorite Nine West glasses and tell us the story of how you found them and what inspired you! This entry was posted in Nine West glasses and tagged Buying Prescription Glasses Online, cool glasses, cute glasses, designer glasses, eyewear, fashion blog, Glasses, Nine West glasses, prescription glasses, Prescription Glasses Online, spectacles, Trendy Glasses. Bookmark the permalink.